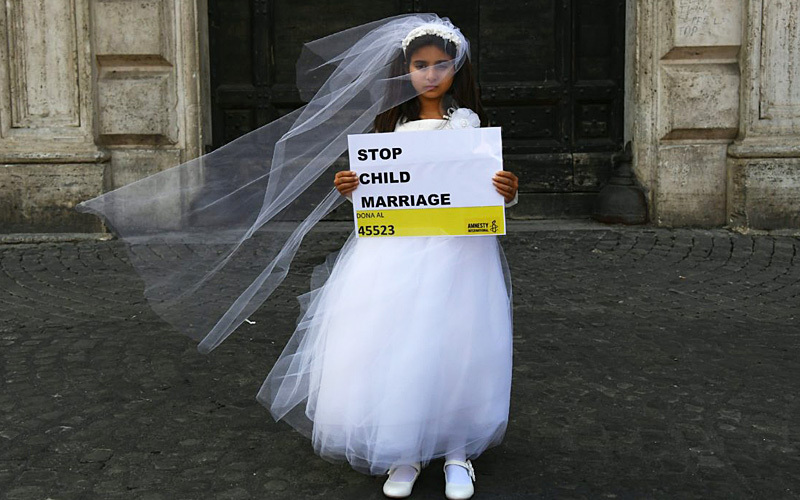 LONDON: It will take 100 years to end child marriage if current trends continue, economists warned on Friday, urging governments to spend more on tackling a problem that affects 12 million girls every year. A study by the Organisation for Economic Cooperation and Development (OECD) found global rates of child marriage were declining so slowly the world would miss a target of eradicating the practice by 2030 by many decades. It will also miss a goal of eradicating female genital mutilation (FGM) by that date, the OECD said in its Social Institutions and Gender Index (SIGI). “Progress in eliminating both practices is too slow as people, including women sometimes, are not ready to abandon them,” the OECD said in a statement emailed to the Thomson Reuters Foundation. Researchers said governments in affected countries needed to do more to change the social attitudes that favour FGM and child marriage. In Burkina Faso, for example, 44% of the population thinks a girl should be married before she is 18. “To make real progress on this issue we need to address its root cause,” said Lakshmi Sundaram, executive director of campaign group Girls Not Brides. The SIGI assesses the impact of discriminatory laws, social norms and practices on the lives of women and girls in 180 countries, using 2017 data from national surveys and local legal experts. It found 39% of women suffered FGM in 29 countries in Africa and Asia and 23% believe the practice should continue. FGM, which affects an estimated 200 million girls worldwide, involves the partial or total removal of the female genitalia and can cause chronic pain, menstrual problems and infertility. Some girls bleed to death or die from infections. However, Julia Lalla-Maharajh, founder of the Orchid Project, said significant progress had been made in stopping FGM. “We know that girls are a third less likely to be cut now than they were 30 years ago,” she said. In West Africa, more than 8,500 villages have abandoned both FGM and child marriage due to efforts of grassroots initiatives, she added. More government funding should go towards grassroots organisations working to end child marriage and empowering survivors to speak up, campaigners said. ” We are busting the myths within their communities around why girls must be cut,” said Shelby Quast, Americas director of campaign group Equality Now.